A luxurious body butter that provide deep moisturisation and hydration to the skin. 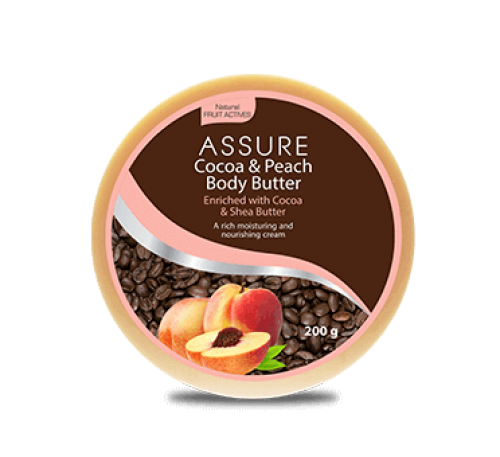 Enriched with skin nourishing butters of cocoa and shea that provides intensive moisture to dryness-prone skin. The soothing extract of peach and aloe vera is a rich source of skin nourishing vitamins and minerals with a sweet invigorating scent.